I have often been torn about the posts that I write, but never so much as with this one. I pray that I have balanced the issue correctly. Many of you have doubtless heard about the tragic plight of the Cohen family in Houston. Their six-year-old son, Raphael Elisha, has a brain tumor, and the doctors have said that there is nothing more that they can do for him. It's impossible to imagine how painful this must be. The worst experience of my life was seeing my father die horribly from cancer - I cannot even begin to grasp how terrible it would be to see one's child in the grip of this disease. In this situation, there is a particular wrinkle that relates to the wider public. Lacking other options, the Cohen family has decided to pursue a controversial form of treatment called Antineoplaston Therapy at the Burzyinski clinic. But the FDA does not endorse this treatment. People are therefore being asked to sign a petition for the FDA to approve a "compassionate use exemption" and to contribute towards the expensive treatment (UPDATE: The money is not only for experimental treatments, but also to pay past medical bills and to support the family, since the parents have been unable to work). It's on the front page of HaModia and in numerous Jewish websites. Some people asked me to spread word to sign the petition and pledge funds. Others asked me to spread word that the Burzyinski clinic is marketing snake oil. Last year, in my sister's community, there was a child suffering from a terminal illness. The situation was so bad that he had been placed in a hospice. The family wanted to try an experimental treatment, but the Kupat Cholim refused to pay for it, on the grounds that it was unproven. The family raised money from the community, began the treatment, and the child's condition began to improve. Upon seeing this, the Kupat Cholim concluded that the treatment was indeed effective, and proceeded to pay for the remainder of the treatment. Today, the child is leading a normal life. This is thanks to the parents pursuing an experimental treatment, and the community funding it. Many people therefore conclude that in such cases, one should help. After all, you have the chance to save a life. What harm can it do? On the other hand, there is the potential for harm. There is a reason why the FDA does not approve it. According to reports, there is no reason to believe that the Burzyinski clinic's "Antineoplaston Therapy" has any medical benefits. It is extremely expensive and gives false hope to desperate people who will try anything. There are allegations of serious improprieties with Burzynski. Furthermore, the treatment has the potential for numerous harmful physical effects. See this article and this story for further explanation. In the words of my friend Dr. Charles Hall, a medical school professor with a PhD in biostatistics, and part of a National Cancer Institute funded cancer center: "Do not under any circumstances sign this petition or any other that promotes Burzynski or antineoplastons. Burzynski has been operating outside of the system for decades, using desperate children like this one as human guinea pigs. He has refused to do proper research and should have been shut down a long time ago. This petition will only give him credibility and attract others to his dangerous enterprise." But on the third hand, there is another dimension to consider. The Cohen family undoubtedly knows all about the controversy surrounding Antineoplaston Therapy, yet still desires to pursue it. Even if one believes it to be a bad decision motivated by desperation, it's their decision to make. Perhaps one should support them in this, and view it as financial and moral support for a family going through an awful crisis. Personally, I feel torn. I cannot in good conscience use this forum to promote the implementation of a treatment that according to numerous medical professionals is a scam that is more likely to cause harm than to help. But on the other hand, I cannot in good conscience use this forum to discourage the support of a family that is in a terrible crisis and has decided to pursue this course of action. And so, I have decided to simply alert people to the situation, present both sides, and call on everyone to make the best decision that they can. 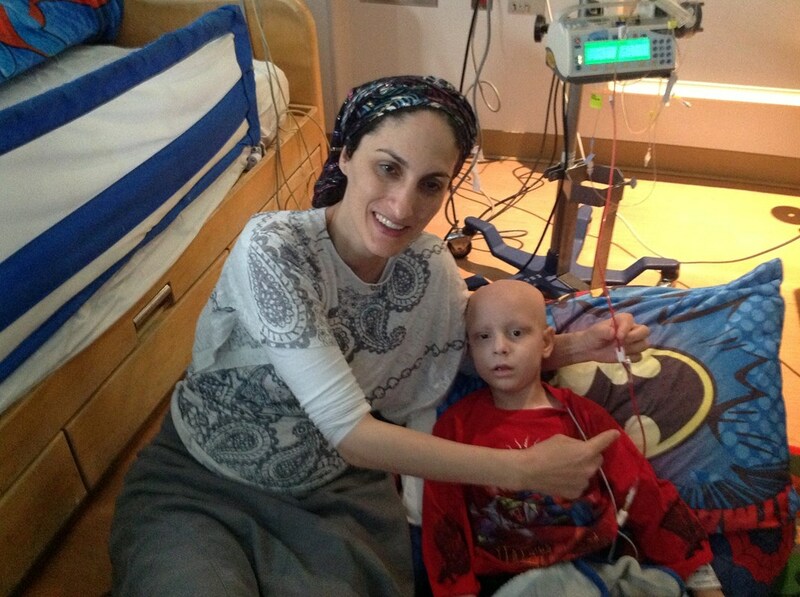 May Hashem grant a recovery to Raphael Elisha Meir ben Devorah. And may He grant all of us the wisdom and strength to know how to act in such situations. Dr. Burzynski reported many successful cases with his treatment. I understand the reason FDA is not going to approve his treatment is he practiced it before getting FDA approval, which is against their rules. When there was a choice between saving someone’s life and obeying government bureaucracy, he chose the former. There is a difference between the usual "unapproved therapy" and the antineoplaston therapy that has been promoted without evidence in this sad case. The usual case of an unapproved therapy is a treatment that is in the process of being evaluated. In the United States, the FDA has procedures to make these treatments available prior to approval even outside of research studies. They are called "compassionate use protocols" and are reviewed by local institutional review boards. I sit on such a review board and I don't ever recall one being turned down. Usually, within a few years, the research investigations are concluded and we know whether the proposed treatment works or not. In rare cases -- tamoxifen for breast cancer is an example -- we don't do a very good job figuring out how it works, or who can benefit, but in general the regulators are pretty lenient at approving use in such cases while research proceeds. And in the case of tamoxifen, it was on the market for almost two decades before we really figured out how how it worked and who would benefit. It gives me no pleasure to be the bearer of bad news here. Both my parents, and three of my four grandparents, died from cancer; for my mother it was a brain tumor that killed a very healthy active woman at age 61. But what we need are researchers who do real research to find the causes of deadly tumors, not people who promote questionable, potentially dangerous treatments to desperate families with no oversight. I have been distressed to notice that some have been questioning the entire scientific research system in the discussions of this case. No oncologist, or cancer researcher, wants to have people suffer and we are NOT suppressing knowledge of miraculous treatments. Nor are the public health workers who are encouraging universal vaccination of children trying to create autistic children, an purported association that was in fact fraudulent; yet we now have had the embarrassment of measles outbreaks in frum communities. And at the same time we have too much smoking and diets that aren't as healthy as they can be. Modern medical knowledge has contributed greatly to increases in lifespan and quality of life; while we have many more challenges we should continue pushing forward in the same direction and reject those such as Dr. Burzynski who push a different agenda. For the record: I am Professor in the Department of Epidemiology and Population Health, Division of Biostatistics, at Albert Einstein College of Medicine of Yeshiva University. I earned a Ph.D. in Biostatistics from Johns Hopkins University. You've touched upon a very interesting dilemma, R Natan. If someone is all set to waste their money but of their own free will, is there any halacha that directs others to step in and prevent them? Ie an intervention? Many claim he is a quack who takes advantage of desperate people. I'm touched and appreciate the balance of your presentation. I appreciate your balanced approach and believe you are aware of the connection between the issue of alternative medicine and rationalism/rational religion. I refer you to a recent book by Paul Offit, MD, a well known advocate for vaccines on the topic of alternative medicine and how their proponents tend to prey upon people for whom conventional medicine does not have much to offer. Chapter 9 is devoted to Dr. Burzynski and his therapies. His story is amazing. He began as a cancer researcher who lost federal funding. He theorized that patients with renal failure get cancer less than others because they retain compounds that fight cancer. He collected gallons of urine from public restrooms and prisons and isolated compounds known as antineoplastons. He obtained permission to test his compounds on patients with advanced cancers and claimed miraculous results. Supporters believed that the cancer establishment was keeping him down to maintain their monopoly on research and information. Researchers interested in his results asked for biopsy results, records of treatments before antineoplastons, treatments with antineoplastons, and radiologic studies before and after therapy. Burzynski brought his most successful cases - which showed some who were cured before his therapy and others who showed no difference in CT scans. Funding offers were made to design controlled trials that were always rejected by Burzynski's staff. In 1991 three major centers tried to replicate his results, without success. The medications were also found to cause side effects in contrast to Burzynski's claims. Well designed studies can show a new medications benefit in as few as 30-40 patients, making the lack of scientific results for antineoplastons surprising. Burzynski has branched out to claim that his therapy can also treat Parkinson's and AIDS, and has started marketing anti-aging creams. 4. Promise of beating aging and other natural processes. I think the general phenomenon is worth further posting. Thank you for a balanced post about this difficult situation. I disagree with those who are thanking you for a "balanced" approach. This is entirely one-sided. As tragic as it is, as Dr. Hall points out, Bruzynski is a well-documented fraud. The Orthodox community has a penchant for "miracles" at the expense of rational thought. Your blog, of all places, is no place for flim-flamming the facts. We should all daven for this boy. I know nothing about Burzynski. He may well be a fraud. But I do know a little bit about bureaucracy (including in the medical field), and I wouldn't trust the FDA with my life. It is not the case that the FDA is some super wonderful benevolent institution, and some have argued that the world would be better off without it (among other reasons, because good drugs that take years to get on the market would get there quicker and other good drugs/ideas would get to the market that currently do not because of the super expensive approval process). Again, I am not supporting Burzynski. It may very well be true that he is an utter fraud. But I wouldn't put my full trust in the FDA either. When my father-in-law ע"ה was diagnosed with glioblastoma, we investigated viral therapy--there are certain genetically altered viruses, like measles and herpes, that seem to be effective in treating such virulent brain tumors. Unfortunately, my father-in-law wasn't helped by the treatment, but it has had success in younger patients. I think the viral treatments have been tested and documented better than the Burzynski treatment. Just a thought. Great post. I want to shake your third hand. The Cohen family have surely considered this step well. I too am very torn about this, and after seeing the petition on my Facebook feed day after day I have concluded I am in the minority of my friends. I am so reluctant to sign, yet part of me believes this is the compassionate thing to do. If the petition is useless then the boy's mother might take comfort in knowing that others are supporting her fight to save her child. If the petition has the possibility of being effective, then we can help her feel like she tried everything. Even if the treatment is harmful, the boy is terminal, so how harmful can it actually be? It almost seems like an academic ethical dilemma that shouldn't carry over into a real life situation. I probably will not sign, but I don't feel comfortable with that choice. I applaud your stressing the importance of balance on this topic. I would also like to add to that. Chemo is also a false hope. None of those articles posted the very low success rates of chemo or the fact that it causes cancer itself either. Information that would have been more balanced, albeit not good for business. Finger pointing needs to be honest, fair and for the betterment of the patient. Not for mudslinging or advertisement. Modern medicine has forgotten the most basic premise of their Hippocratic Oath, i.e. "First do no harm." Why would anyone be against them TRYING to save their child? What other alternatives do they have? They can and should at least attempt to try something instead of nothing. Wow. I was forwarded the petition by everyone, but didn't sign it, because I sensed these and some other reasons. What a breath of fresh air it is to have the rationalist/compassionate approach articulated on so many topics. Sheyitkablu kol tefilotecha, u'tefilot kol bet Yisrael. Thank you for bringing this difficulty to light in a compassionate way. Many of my friends and I have been very conflicted, and have been afraid to speak up for fear of being ostracized. Hashem should have compassion on the Cohens. Why are you not as "balanced" when Kupat Ha'ir promises salvation and miracles for donating to their charity? At least giving tzedaka is a mitzva. I think the money being raised is for the combination of all the other drugs he is currently on, isn't it? Didn't the petition say that Burzynski offered to give the treatment for free if they are able to attain the compassionate use approval? The woman also says that she has met people who claim they were saved by antineoplaston treatment. What's the explanation there?
" but real oncologists will tell you that they do get patients who experience unexpected remissions of their cancer for no obvious reason"
It is this right here which is the reason why I think people should sign the petition. We don't fully understand the many forms of cancer and why some patients go into remission. We just don't. So, something that may be a meaningless placebo for 99 out of 100 people might cause a remission in a certain case for no explainable reason and through no mechanism that can be understood. The mother is trying to save her child. Burzynski gains nothing from this because he offered to give the treatment for free according to what I read. So shouldn't she try to get it? "Burzynski gains nothing from this"
To the contrary, Burzynski gets huge favorable publicity from a child who recovers after getting his treatments (even in spite of the treatments) -- but doesn't publicize his failures. This will lure even more families into his clinic. If the treatment is so good, why, after 36 years, has he not done a proper clinical trial? 36 years! Any real researcher who has a good idea tries to push the idea into scientific testing as quickly as possible. For one thing, if it works, the patent royalties would make the researcher and/or his/her institution rich -- and Burzynski does have a number of patents that he could license to a real drug company, making his therapy widely available. But with no evidence, no drug company will touch it, and with good reason. We are talking about someone who rejects basic standards of scientific methodology and practice; it is not something that readers of this site should support. It's not enough to say, "Who knows? Maybe it will work, and isn't it worth that tiny chance?!" What else should we try? Perhaps the bark of a three-year-old willow tree? Who knows? Maybe some heretofore unexplained mechanism in such a thing will cure him! Or maybe all we need is water. After all, every patient who has ever been cured of cancer had recently drunk water! Or maybe arsenic? Isn't that poisonous? Well, usually, but maybe it will cure him! Obviously, we'd never recommend spending tens or hundreds of thousands of dollars to recommend these things. Why not? Well, there's zero reason to believe willow bark will do anything, and we know there is evidence that arsenic kills people. Water - well, that's just coincidence. Most people who drink water aren't cured by cancer, and those who *are* cured aren't cured because of the water - that's coincidence. Correlation, not causation. * Antineoplastons administered by Dr. Burzynski are at best willow bark, having no prior reason to believe they should work. Nor do they have demonstrated reason - no published, peer-reviewed results exist demonstrating efficacy. Nor do they have theoretical reason - there's not even a proposal for how they could work. Lots of things work in theory but not in practice; lots of things work in practice even though we don't know why. But when something has no theoretical grounds and *also* doesn't work in practice? Every single (non-peer-reviewed) published result has been failed to be replicated by anybody else. * At most neutral, water: The minority who have been cured are, to my understanding, statistically coincidental - i.e., it's just as likely that they would have been cured without the antineoplastons. * At worst, it is approaching arsenic: Dr. Burzynski was cited for failing to stop treatment for patients who had severe toxic reactions to antineoplastons. The FDA found that: "There is no documentation to show that you have implemented corrective actions during this time period to ensure the safety and welfare of subjects." During the one actual phase II clinical trial done, of the six patients evaluated, in the words of the official report from the Mayo Clinic, "No patient demonstrated tumor regression." However, five of them suffered reversible neurological side effects ("reversible grade 2 or 3 neurocortical toxicity") - in other words, they went away when they stopped taking the antineoplastons. Good in the sense that it wasn't permanent, but it's also therefore pretty clear that it was caused by the antineoplastons. You can't give something "what-if" power just by saying it should have it. The power of hope is really strong, and the fact that this guy claims it works gives people hope, but words are only words, no more powerful than my words about willow bark, and the truth of what has actually happened is far scarier. Could he be the one in a million who's cured by this? Maybe - or maybe he's the one in a million who's cured by willow bark. But I'd be much more worried that he'll end up as one of the 83% who gets "transient somnolence, confusion, and exacerbation of an underlying seizure disorder" with no effect on his tumor. As far as I can see it, I don't see any way this should give anyone any more hope than willow bark or sugar, and in fact, it looks a lot more dangerous than either of those. For the sake of the boy's health, don't give this guy credit just because he says things that we want to hear. The appeal to sign the petition states that "the FDA pulled their approval for this treatment in 2012 pending further clinical trials. They are told that the FDA is nearing approval to resume this treatment." In light of the comments above, this statement would seem to be fraudulent, or at best a credulous endorsement of someone else's fraud. My heart aches for this boy, but I cannot sign the petition. Thank you, Rabbi S., for shedding light on this unfortunate situation and for treating it with sensitivity. Yehudah said, "(And frankly, I don't see why a government [i.e., society] should be allowed to tell person A that he may not buy snake oil treatment from person B. As long as both people are adults, what gives us the right to prevent the transaction?)" NO! The government is not preventing anybody from buying the 'snake oil' - but saying that they won't pay for it. A bit different. And boaz re chemotherapy. It's a choice - don't use chemo and die or do use it and have a reasonable chance of survival. The success rates for some cancers, especially some of the leukaemias are very high indeed. Boaz: Chemo is not without its risks but there is evidence that it works. Please see this article entitled "Chemotherapy doesn’t work? Not so fast… (A lesson from history)"
I'm generally impressed at the journalism of Vos iz Neias There are many details including that "Mrs. Cohen estimates that the nine trial drugs that Elisha is currently taking cost over $9,000 per month." Can anyone answer for me: (1) How normal is it for trial drugs to cost money and (2) Does anyone know exactly what these drugs are? Mrs. Cohen has said that the insurance and doctors won't endorse them, so I'm wondering if these treatments are also being provided by quack practitioners. The YouCare account set up by friends of the family in Houston is being used for the family's past medical bills and current living expenses. Since Elisha has been ill, neither parent has been able to work. From discussion with the parents, those who think they are aware of the 'risks' and fraudulent practices by Burzynski are mistaken. Close family friends have directly said they feel it will do too much harm to remove their last hope, and every correspondence I have had with the family indicates they have bought into Burzynski's propaganda and aren't being guided by science at this point at all. Re the ethical dilemma - just because a person is dying does not mean that we give them up to non-science and let them waste their resources searching out unhelpful and harmful medications. In fact, as the non-emotionally involved outsiders, it is incumbent upon us to protect them from charlatans. There is plenty of evidence that burzynski has deliberately falsified information, and since he concurrently gives normal chemotherapy as well as his antineoplastons, as well as not leaving a minimum amount of time since last chemotherapy and/or radiation treatment, plus reports complete regression of tumours whilst patients are still taking high doses of corticosteroids which mask tumours, it is actually impossible to tell if he has cured a single patient. Please see yesterday's letter from the FDA to Burzynski listing the issues. They need him to reply in 12 days. I'm sure the timing of this and the petitions (there are three) is not coincidental. He is very good at manipulating people and the media. "To the contrary, Burzynski gets huge favorable publicity from a child who recovers after getting his treatments (even in spite of the treatments) -- but doesn't publicize his failures. This will lure even more families into his clinic. If the treatment is so good, why, after 36 years, has he not done a proper clinical trial? 36 years! " It seems you ignored the premise of my comment. If it is nothing but a placebo in 99 out of 100 people, that is NOT something that "works." That is a colossal failure. It would fail any trial. To try his route is an act of desperation. You tell me about how much money it would make, licensing, etc. Ok, I know how drug development works. But how could he make money of something that doesn't work in 99% of patients trying it. The point here is this is an act of desperation by the mother, and because sometimes cancer goes into remission for no explainable reason, it is worth a try for her, even if Burzynski's junk would fail every possible rigorous clinical test. Because cancer is at times an enigma, despite our best efforts to comprehend it. You seem unwilling to engage with this reality. 1) You don't have to be Orthodox to be taken in by a charlatan when you are desperate to believe in what he/she sells. Everyone is susceptible to that. 2) The family undoubtedly needs monetary and emotional support regardless of whether they get treatment from Bruzynski or not, and we can't control whether they do so or not. Didn't the petition say that Burzynski offered to give the treatment for free if they are able to attain the compassionate use approval? 1) He probably knows that it won't be approved. 2) Compassionate use approval would be gold to him, since it would give him a veil of legitimacy. Patients who undergo a treatment do not magically get scientific understanding about their treatment that others cannot understand. In fact, in this case, they are unlikely to even understand what treatment they actually received. To the degree that Kupat Ha'ir makes promises, they are selling the same snake oil that Burzynski is. The ambiguity is because we have a family in need of great emotional and financial help, regardless of their current (and completely understandable) state of mind about baseless treatment methods. We want to help the family without helping Burzynski. Please start standing on your head for at least an hour a day. My method has not been disproven to prevent death by cancer in at least one in 100 people and is not FDA disapproved. Insurance companies will not pay for treatments that are defined as experimental. But doctors are constantly innovating, e.g. finding new uses for drugs previously approved for slightly or vastly different purposes. When done rationally and considering the uncertainties, this can be of benefit, but the insurance company may not pay. I can't comment on whether this phenomena applies in this case. To speak to the issue of "how dare we restrict their right to choose", that is the great debate of public health policy. To what extent do we allow someone to prey on people? Why do we need to police product labels and advertisements - let people decide for themselves what is true! Public policy says that - as a society - that's bad news. At a minimum it's waste of money (which is ok if it's from your entertainment budget but not if it's from your food budget) and at maximum it harms you instead of helps. And in this case, harm includes side effects that can REDUCE life expectancy instead of increase it. I have been comparing this to the stock movie scene where the fireman has to hold back the aggrieved mother from running into the burning house. Emotionally her actions are completely understandable, but obectively we see that she's putting herself at unnecessary deadly risk and we restrict her movement. You see that scene and your eyes tear up - you feel the anguish inside you for this woman's pain. Yet sometimes the correct answer is to let go. To cry and grieve for your loss. Or, perhaps in this case, to enjoy in peace what remaining time you have together without spending all your time, energy, and money fighting a debilitating fight. Burzynski is a deliberate con artist, liar, and charlatan who feeds on the misery of dying people and their families. No support of any kind should be provided to him or to others to allow them to utilize him. It is a disgrace that the FDA has allowed him to carry on his "trial" scam for decades. Yehuda's comments (12/13 12.06 ) reflects my own as well. This really boils down to individuals v nanny state-ism. Dr. Hall's comments, and his left-wing bent generally expressed on many occasions, reflect a trust and belief in Big Government as the cure-all for everything. He believes in the religion of credentials, officialdom, and the like. That's his viewpoint, and he's entitled to it. The other viewpoint doesn't place the same trust in government that Hall does. The "government" is comprised on individuals, each of whom have the same biases and interests that we all do. There are people in the FDA who have financial interests in drug companies, and don't want competition coming on the market. There's no doubt at all anymore that entire sectors of the economy are targeted for political reasons, and only a fool would deny it. So what the FDA does or does not say about something is entirely irrelevant to its true value. Likewise, the concept of "peer review." The Climategate scandals proved what many have known for years: Viewpoints are suppressed, and journals are actively lobbied and pressured not to present opposing viewpoints. Undoubtedly the same shenanigans occur in all the other professions and fields. My analogy was poor - I need to substitute something else in for willow bark. Because extract of willow bark is actually aspirin, a real, legitimate drug. You know, DF, seeing everything through a political lens is usually something liberals do. PZ Myers outlines the FDA's recent excoriation of Burzyinski. Inflated results, disregard for patient safety, shoddy and inconsistent methodology, dishonest record-keeping, failure to get consent, and more. These are not signs of a bold, iconoclastic scientific genius. They are hallmarks of a money-hungry quack. David Ohsie: Thanks for attempting to answer my question. Nobody likes insurance companies when they don't pay for something. My question was about Clinical Trials charging volunteers. I found a good discussion here. I'm afraid people are focusing too much on Burzynski, who probably won't be allowed by the FDA to use antineoplastons on Elisha, and not focusing enough on the 9 trial medications. Who is prescribing these medications and is someone ensuring that the 9 medicines together can be taken safely? Can anyone also confirm what are the exact restrictions on Burzynski? Is he still able to provide medical advice to the Cohens? Framing this as a left-vs.-right issue seems a bit misguided to me, especially in the way a previous commenter has presented it. After all, it is actually the Left that usually comes down on the side of "alternative medicine", generally alleging conspiracies on the part of the FDA, Big Pharma, and the like. In this case, I actually think that the FDA and medical community was "dan le-chaf zechus" for Burzynski for a very long time. He has been given many, many chances (over decades) to prove himself. As for lists of patients Burzynski has "successfully treated", I would view them in light of what we know about Burzynski's methods (not properly controlled, not blinded, results cherry-picked, etc.) I don't think one can make any real conclusion from them. I should also add that I got a chuckle re-reading an earlier comment but substituting "the Gedolim" whenever I saw "the government", "Slifkin" for "Climategate" and "haskamos" for "peer review". Benjamin E writes: My analogy was poor - I need to substitute something else in for willow bark. Because extract of willow bark is actually aspirin, a real, legitimate drug. Not to pick nits, but willow bark actually contains salicylic acid, which is itself an analgesic but very hard on the esophagus and stomach. Chemical modification of salicylic acid (which can be more efficiently prepared from synthetic sources) gives acetylsalicylic acid -- which is also an analgesic, much easier on the stomach, and is also known commercially as Aspirin. After my father A"H was diagnosed with glioblastoma we went to Rav Feuror with the MRI results and the question as to whether we should go to Houston for Burzynski's treatment. He told us not to go. He said that he would not subject even his own father to Burzynksi's treatment. "Even if it's not a choice we would make for ourselves or advise others to make, to deny that choice to others on the basis that "we know better than you" strikes me as wrong." To make your point in another way, those of us who are speaking out against the petition are indeed asking to curtail their right to choose which is understandable a difficult decision to make. But that's what law is: there are rules which you are expected to follow as a member of society and there are consequences if you choose to disobey. Same here: lawful society is saying that this rises to the level of something unlawful whose existence is harmful to society as a whole and so must not be allowed to continue, even though yes - it means you don't have the right to choose (or choosing it anyway means there is a legal consequence). Also, per your parenthetical, I will offer that the situation of someone trying to limit your autonomy because of a spiritual concern is different from how we approach a case like this which has a physical concern. "Didn't the petition say that Burzynski offered to give the treatment for free if they are able to attain the compassionate use approval? I don't think that's true because the compassionate use approval is on a case-by-case basis and would only approve for this child, not for anyone else. All others have to apply separately, as they have always had to. And they have given this approval for other patients in the past. So there is no gold here. Especially if he promised to give it for this child for free, if they obtain the exception. I think the need for the approval is that it would be illegal for him to apply the treatment without that approval. Nachum, everything MUST be seen through a political lens. Unfortunately it is terribly naïve to think otherwise. I disagree that viewing tings through politics is a hallmark of only the left, but if it is, one should learn from them on that point. You make a good point about laws, which of course necessarily curtail people's ability to choose in many cases. But in this case we're not talking about overturning a "law". It's simply a request to temporarily lift the FDA-imposed "pause" in clinical trials as an exception for the Cohen family, a request which is fully within people's legal right to make. In terms of the physical vs. spiritual distinction, that's an interesting point for a separate discussion, since even secular law covers more than just physical concerns. I'll leave it at that - thanks for your articulate response. DF, I can see politics here in only one way: If my supposition is correct, this all may come down to whether or not the gummint pays for it. Once again, the heavy hand distorts everything. A person should feel free to use whatever snake oil he wants (although I'd certainly prefer they don't use a dangerous one, or neglect real medicine), so long as I don't have to pay for it. Don't insult the scientific method- modern society rests on it. Of course, insulting the scientific method is something leftist scientists love to do. Regardly supporting desperate people who would understandably try absolutely anything in desperate circumstances, would we support such pursuit of sorcery, dark magic, necromancy etc? All of the above are Torah-prohibited. In so far as they reflect a denial of a rational natural order instituted by Hashem, they are no different to the quackery peddled by Burzynski and others from the more nefarious end of the alternative medicine spectrum. Why is compassionate use approval even necessary in this case? I thought FDA approval was necessary only to permit marketing and advertising of a drug or procedure for therapeutic purposes. If an individual wants to take a substance (e.g. herbs) or follow some procedure that they personally believe may have medical benefit, and there is a provider who is willing to help them, why is FDA permission needed? As long as the substance/procedure isn't illegal (i.e. controlled substances like narcotics), and as long as the provider doesn't engage in unapproved marketing and advertising, and if the provider is willing to give the treatment for free -- so insurance is irrelevant -- who's stopping them? Why is a compassionate use exception even necessary in order for this family to accept Burzynski's offer of free treatment? Just like if they want to they can try unapproved holistic herbal diets, guided meditation practices, etc.? What is the difference here? Of course without FDA sanction, this would not count as clinical progress for Burzynski, it would just be a one-off private thing. But isn't that all the family wants? Since I've had my credibility attacked, I will respond. "He believes in the religion of credentials, officialdom, and the like." I believe in facts. And there are no real facts to support the idea that antineoplastons cure cancer in anyone. This is not a government conspiracy. "Viewpoints are suppressed, and journals are actively lobbied and pressured not to present opposing viewpoints." I have been reviewing for scientific journals for over 20 years. I have never been lobbied or pressured. Not once. And I cannot identify a single instance where lobbying or pressuring affected the decision to publish or not to publish any of my own 109 published peer-reviewed articles, or any of the even larger number that I have reviewed. And the use of the term "viewpoint" belies an anti-science bias that is downright postmodernist! Facts are what matter, not viewpoints. There are other problems with the scientific infrastructure and I am always happy to discuss them -- with people who accept the validity of scientific methodology. I can't discuss science with people who insist that vaccines cause autism, that HIV doesn't cause AIDS, that the universe is literally 6000 years old, that evolution doesn't happen, or that the earth has not gotten warmer over the past 130 years. It is like discussing halachah with a Reform Rabbi who does not accept Torah She Baal Peh. Such persons have voluntarily removed themselves from the conversations. Charlie, can you discuss science with people who refuse to admit that the world got a lot colder from about 1350 to 1850, or people who refuse to admit that the world got a lot warmer from about 950 to 1250? Because lots of people on "your side" do. You know full well, or should, that any discussion of warming is a major political issue and subject to all pressures and claims related to that. You would have done well to leave your last example off your list. Nishmas Avraham Yoreh Deah 155:12 deals with this sugya and says bishem Rav Neuwirth zt"l that you should not try to deter the desperate patient from trying alternative treatments, while at the same time you are not chayav to contribute tzedaka money towards that cause- and cannot give money from a tzedaka fund. However, he says that if you think the patient's mental state will be improved by the treatment then you can- and should- give tzedaka money to that cause. Rav Elyashiv zt"l and Rav Shlomo Zalman zt"l are quoted as agreeing. Nachum, everything MUST be seen through a political lens. Let me add my strong objection. Science, not political agenda, is how modern medicine has dramatically improved our quality of life. I share Dr. Hall's distress that politics has led to distrust of science among many in the frum world. An authoritative reconstruction of the last two thousand years of surface temperature, by the PAGES 2k Consortium, was recently presented in Nature Geoscience. See especially Figure 4b for the global trend. Palaeoclimate records spanning the past millennium are often characterized as including some manifestation of a warm Medieval Warm Period (MWP) followed by a cool Little Ice Age (LIA). Previous reviews of these intervals have shown a tendency for cen­tennial-scale temperature anomalies, but have also emphasized their heterogeneity through space and time. Our regional temperature reconstructions (Fig. 2) also show little evidence for globally synchro­nized multi-decadal shifts that would mark well-defined worldwide MWP and LIA intervals. Instead, the specific timing of peak warm and cold intervals varies regionally, with multi-decadal variabil­ity resulting in regionally specific temperature departures from an underlying global cooling trend. Because this is not the forum, anyone who wants to discuss the credibility of climate science and the politics that surround it is welcome to email me: rnmiller@yu.edu. Correct, this is not the forum for a discussion on climate change. No further comments on that topic will be posted. "...you should not try to deter the desperate patient from trying alternative treatments, while at the same time you are not chayav to contribute tzedaka money towards that cause- and cannot give money from a tzedaka fund. However, he says that if you think the patient's mental state will be improved by the treatment then you can- and should- give tzedaka money to that cause. Rav Elyashiv zt"l and Rav Shlomo Zalman zt"l are quoted as agreeing." I presume this is valid for a case where the alternative treatment does no harm; it's just an ineffective waste of money but may indeed have psychological value. I would hope the ruling would be different in a case such as this where the treatment is more likely to do harm than good. Part of the harm from this publicity is that others in similar situations, R"L, will become more likely to consider expensive but harmful treatments. The broad Orthodox community needs to figure out how to make its members more resistant to scams and manipulation---medical, financial, you name it. I am a concerned citizen in San Angelo, Tx. Call me Mr. Clover. Many people make the mistake of thinking that everything must be black and white. Mr. Burzinski is either getting filthy rich off of a completely bogus treatment or he is a saint going up against powerful special interests who want his revolutionary cancer treatment suppressed. Neither viewpoint is entirely correct. Some patients benefitted from antineoplastons, others were harmed, and some just wasted money on a treatment that made no difference. Government agencies like the FDA are indeed corrupted by powerful special interests with big money. The FDA should have approved antineoplastons for widespread use many years ago with the understanding that some cancer patients would benefit and others would not. The FDA should have made more effort to find why certain patients benefited while others didn't. The FDA should have made more effort to pin down the truth about toxicity when it occurred rather than just smearing the doctor with charges. Three years ago, after a prostate biopsy, I was given the diagnosis of aggressive Stage III adenocarcinoma. I didn’t know what to do. The urologist made appointments for me to start radiation, and maybe chemo. Then a friend told me cannabis cures cancer. It just so happened that the first human trials of cannabis treatment of astrocytomas (inoperable brain cancer), were published with encouraging results. So I decided; rather than die from the medical treatment, I would do the cannabis cure. Now… where to get some. There was no dispensary in the area, but a friend made me cannabis butter, so I took that, up to tolerance. In three months the primary cancer was gone, only minor metastatic lesions were left. At that point I found a supplier for Rick Simpson oil and killed off the metastases in the next three months. Now I just take a maintenance dose of locally produced hash oil that is 1:1 THC:CBD with about a 30% potency. This will certainly keep me clear of cancer, anywhere, for ever. My point in telling this story is the fact that in the face of advanced aggressive cancer, all I had was very weak cannabutter, but it was enough to eliminate the primary tumor. Now there are strains of 95% THC. But is this necessary? If you have cancer and want to pursue the cannabis treatment, any at all will be good. More important than extreme potency, is balance between THC and CBD. If you can get high potency, great. If not, common potencies will work perfectly. Finally, if you choose cannabinoid treatment, start small, then increase dosage as rapidly as tolerable. To kill cancer you have to hit it hard, be conscientious about your treatment. Cannabis does no harm to the body, it is a metabolic support for the immune system. IF ANY ONE IS IN NEED OF IT, YOU CAN CONTACT [williamscannabisoil@hotmail.com]. This is how i got my husband cured of CANCER deadly disease, i was searching online some weeks back, i saw a comment saying that he got all the herbal cure for any kind of disease, which i contacted him, but to go God be thy glory, he delivered the herbal medicine through DHL to me and after just 7 days which was written on the herbal and my husband got his self back, today we are happy family, my advice is to contact him if you are having any kind of disease he will help you, if what am testifying about him is a lie let me and my entire family die by a motor accident, here is the contact i saw online that i contacted him with sowetoherbalmedicine@gmail.com he is from South Africa. i never believe i am going to be cure, dr.odudu has so much made me believe in him. thanks so much for bringing back my happiness. my story on how i get cure true the help of DR,ODUDU HERBAL HEALING MEDICINE. Hello everybody my names are Joyce Benson, it shall be well with doctor Ekpiku,I will Always post this testimony till i die,i will make sure his name is everywhere in the world ,me and my sister was diagnosed with herpes and hepatitis b ,i was just glancing through the internet when i saw someone post about Dr Ekpiku ,he said Dr Ekpiku saved his life from hepatitis b with herbal medicine , so i said let me try,i thought it was a joke ,so i emailed him on the email i saw on internet which is; ekpikuspellhomeofgrace@hotmail.com ,so he replied and said he will cure me and my sister from hepatitis B, within 14 days ,so we purchased the herbal medicine ,then he send it to me ,then when i got the herbal medicine he gave me instructions on how to use it ,which i did properly ,and i was cured totally within 13 days thanks GOD for leading me to a great herbalist ,..pls try and see for yourself or whats-app him on +2348073673757 .. I'm giving a testimony about Dr. Edaghoghon the great Herbalist, he has the cure to all manner of diseases, he cured my HERPES SIMPLEX VIRUS though I went through different website I saw different testimonies about different spell casters and herbalist, I was like: 'Many people have the Herpes virus cure why are people still suffering from it?' I thought of it, then I contact Dr. Edaghoghon via email and WhatsApp, I didn't believe him that much, I just wanted to give him a try, he replied my mail and Needed some Information about me, then I sent them to him, he prepared the (CURE) and sent it to Airfreight Courier Service for delivery, he gave my details to the Courier Office, they told me that 3-5 days I will receive the package and i took the medicine as prescribed by him and I went for medical check-up 13 days after finishing the medicine, I was Herpes simplex virus Free, if you are HERPES VIRUS patient do me a favor for you to contact him and I will try my possible best to make sure you get cured, when you contact him, make sure you tell him that I referenced you.. contact him via: caregivercentre75@gmail.com call or whatsapp number +2347036681554. I was cured of HIV with the used of natural herbs. My name is celina jolly and am from US. I love herbs so much. Most times, injection and drugs are just a waste of time. I was cured 8 months ago, i suffered from HIV for 13 yrs but with the help of Dr.Ogun herbal medicine, i was cured within few weeks of drinking the herbs he sent to me through courier delivery service. This same doctor also cured my Aunty from herpes, as soon as i heard she had herpes, i quickly refer her to Dr.Ogun and she was cured too after drinking his herbs.I have referred more than 15 persons to Dr.Ogun and they were all cured from their various illness. Have you taken herbs before?. You have spent so much money on drugs,injections,surgeries etc and yet you have no good result to show for it. Contact Dr. Ogun now, he is a herbalist doctor, i assured you of a cure if you drink his natural herbs. Dr.Ogun have herbs that cures Hiv, Herpes, diabetics, asthma, hepatitis, HBP, STD, cancer, chronic, etc. Contact Dr ogun through his Email address on: drogun62@gmail.com or WHATSAPP/CALL him on+2348104991149 . Please share the good news to other people once you are cured. Hi Friends i am so glad to writing this article today to tell the world how Lord Noble cured my VIRUS, i have been detected with HSV-1 AND HSV-2 Years Ago, ever since then my life has been in complete bizarre and agony,i have used so many drugs that was prescribed to me by several doctors, but it didn't cure my HSVIRUS neither did it reduce the pain, until a certain i was checking for solution in the Internet,then miraculously came across Lord Noble the powerful herbalist that cure numerous individuals HSV-1 AND HSV-2 INFECTION, then i contacted his email: (lordnoblespellcaster@gmail.com) i explained everything to him and prepared a cure that cure my HSV-1 AND HSV-2 disease totally after receiving his herbal medicine, so my friends, viewers why wait and suffer when there is someone like Lord Nolbe that can cure any disease HIV/ CANCER/ HEPATITIS B VIRUS, you can contact his (lordnoblespellcaster@gmail.com) or call his number or Whats-App his Mobile number: +1(817)755-0129. AM OVERWHELMED WITH JOY SHARING THIS GREAT ENCOUNTER WITH (DR. AZIZA) a man whom God has gifted with talent to restore broken homes, relationships and natural cure for diseases & infections. I noticed some reddish pox around my genital area, and i visited my medical doctor for a test. I was disappointed and felt very bad when the doctor diagnosed me with ''Herpes Simplex Virus Types 2'' this prompt my husband to also went for a test and his result was the same (POSITIVE) to Herpes virus, that was when problems arose in my marriage. My husband came up with the ideal of divorce! of which he previously accuse me of bringing the virus to our home, he developed some ugly bitterness towards me! though we already had a boy of four years old, I loved him so much and i didn't want to loose him for any reason. After three weeks of several argument and fight, he finally move out of our house without my notice and he dropped a note stating that the marriage was over and done. I was left all alone with my child! i must say it was a terrible experience. To brief my story, it was five(5) mouths gone, but thank God i open up for a very good colleague at my work place who once narrated similar case of her cousin to me years back and how they got a solution by contacting this email address drazizahealthcare@gmail.com . She forwarded me all his contacts and i desperately click on his website link http://drazizahealthcare.wordpress.com '' i told him about my broken home and health challenges, and he kindly assure me that he was gonna cast a love spell to helped bring back my husband and send us his herbal cure formula through a courier delivery service.. I must confess! i doughted him at first, i start to believe him when the delivery agent brought the herbal medication to my house that Friday morning. That same Friday evening, i was surprise when my husband and his friend came to the house! he was on his kneel bagging me to accept him back, everything want exactly how Dr. Aziza told me. The amazing part! we both used the herbal medicine after two(2) weeks we went for another test, and to God be the glory, the results is NEGATIVE again. Am using this medium to recommend Dr Aziza Health Care for everyone having challenges in their marriages, relationships and any health problems to also Whats App: +2348137838605 him for a perfect solution.